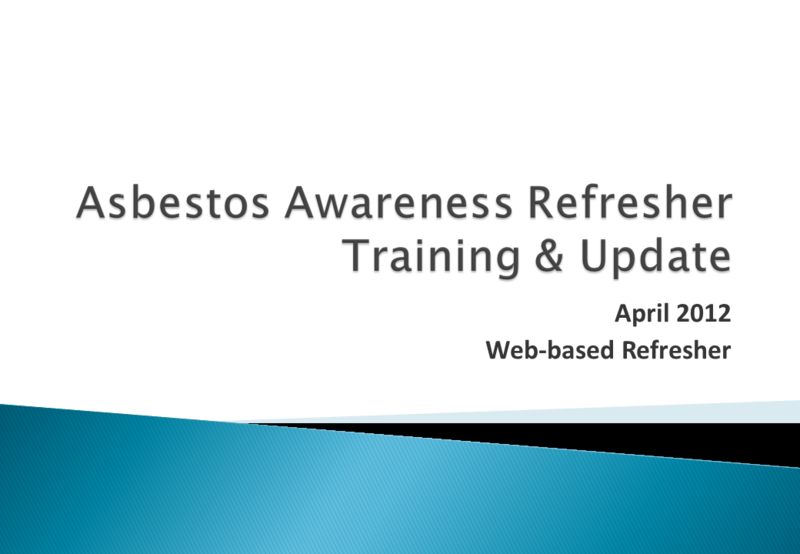 The Refresher Asbestos Awareness e-learning programme developed by K.S.Safety Ltd. is designed to assist employers in meeting their duties under Regulation 10 of the Control of Asbestos Regulations 2012. The training programme has been prepared in the form of a PowerPoint Presentation incorporating supplementary lecture notes. Each delegate should review the PowerPoint presentation before attempting the multiple choice on-line test. The multiple choice test will establish your level of knowledge with respect to Asbestos.